When my sweet contact at Green Mountain Coffee Roasters informed me that the most recent mailer would be right up my alley, I could hardly contain myself. I instantly knew it would involve baking and I secretly prayed that the box would contain dark chocolate. 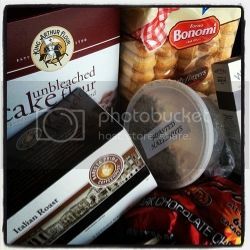 I was in luck – the box did contain dark chocolate (12 ounces, to be exact), along with ladyfingers, King Arthur cake flour, roasted hazelnuts, mint extract, raspberry preserves, a beautiful baking pan and a huge box of Barista Prima Coffeehouse® K-Cup® packs. Happy Mail Day to me! I couldn’t wait to get started on the recipe, so I ran out to the store to grab a few things necessary to tiramisu (Mascarpone, anyone?). If you’ve ever made tiramisu, you know that it’s a labor of love (and the time you spend waiting for it to chill is excruciating!). 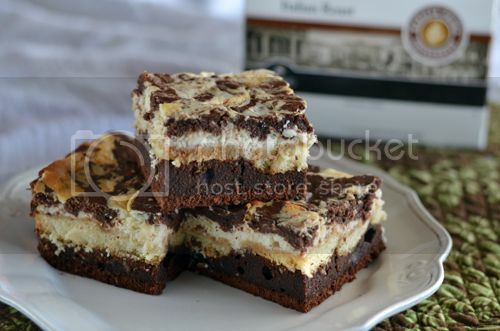 These Hazelnut Tiramisu Brownies are similar… they take quite a bit of time to put together, and even though you’re using an entire carton of eggs for this recipe, the reward is crazy good. Insanely, unbelievably, amazingly good. Creamy and smooth, with a tender crumb. They’re not a friend to the hips, though, so eat in moderation. But, I didn’t need to tell you that… now did I? 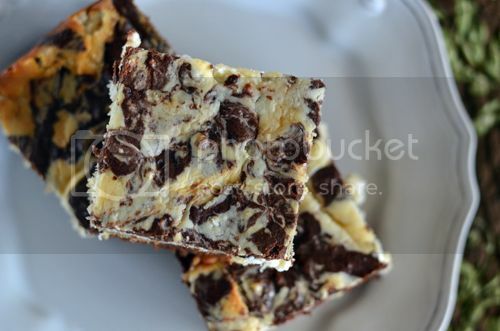 In a large bowl, melt the chocolate chips. Stir until smooth, then set aside to cool. Preheat the oven to 350 degrees F. Butter and flour (or spray with non-stick spray) a 13" x 9" baking pan and set aside. Add the melted chocolate to a mixing bowl, fitted with the paddle attachment. Beat in the butter, followed by 1 cup of sugar, then the 4 whole eggs and 4 egg whites, mixing until completely incorporated. Add the cake flour, followed by the instant espresso grounds. Mix on low speed until just combined. Then, carefully fold in the chopped hazelnuts. Pour the batter into the prepared baking pan, minus 1 cup of brownie batter. Place the ladyfingers upside down on top of the batter, pushing down slightly on each one. 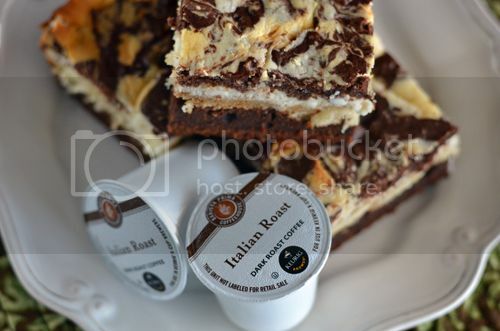 Brew 1 Barista Prima Coffeehouse® Italian Roast K-Cup pack and combine the hot coffee with the dark rum. Using a pastry brush, carefully brush the coffee & rum mixture over the ladyfingers until they are saturated. In another bowl, combine the mascarpone cheese, cream cheese, 1/4 cup of sugar, 4 egg whites and the vanilla extract. Carefully spread topping over ladyfingers. 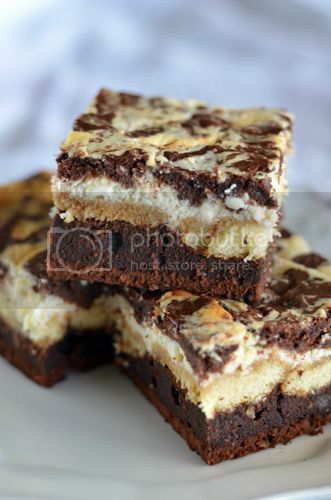 Then, place spoonfuls of the reserved brownie batter on top of the creamy filling and swirl it lightly with a toothpick or knife. Bake for 45-50 minutes, or until center is almost set and brownies begin to pull away from the sides of the pan. Cool completely in the pan before slicing any servings. Barista Prima Coffeehouse® K-Cup® packs are an exclusive collection of the world’s finest Arabica coffees inspired by Europe’s most celebrated coffee houses. Barista Prima® offers a deep, dark-roasted flavor for connoisseurs of coffee, which pairs perfectly with your delicioso Italian treat… say, a Hazelnut Tiramisu Brownie? 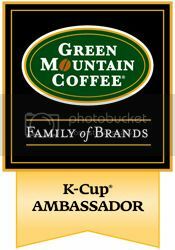 Use this month’s promotional code BARISTA8167 for 15% off storewide orders at GreenMountainCoffee.com, and free shipping on orders containing at least one K-Cup® pack of Barista Prima Coffeehouse®! The code is valid now through May 31st and cannot be combined with any other keycode discount. Oh wow these look so decadent and delicious. These look delish! In the 4th paragraph of the directions, though, don’t you mean mix 4 egg YOLKS into the mascarpone, not 4 egg whites? Nevermind – didn’t read the ingredients list carefully.